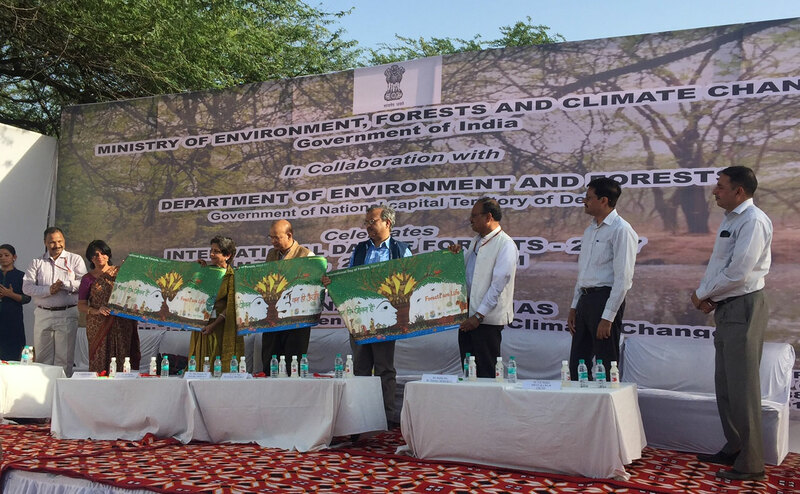 The Secretary, Ministry of Environment, Forest and Climate Change, Shri Ajay Narayan Jha addressing the gathering, on the occasion of the International Day of Forests 2017, at Asola Bhati sanctuary, in Tuglakabad, New Delhi on March 21, 2017. As a communications consultancy that shifted away from business-as-usual advertising to climate action and ecosystems conservation, we still remain married to the visual narrative as our favorite medium for expression. When you take on forests as your client after years of traditional branding, your mind has got to reverse its thinking— you have to move away from trying to influence people to buy a shiny new product or a service and instead create something that engages people into a conversation about conservation not consumption. 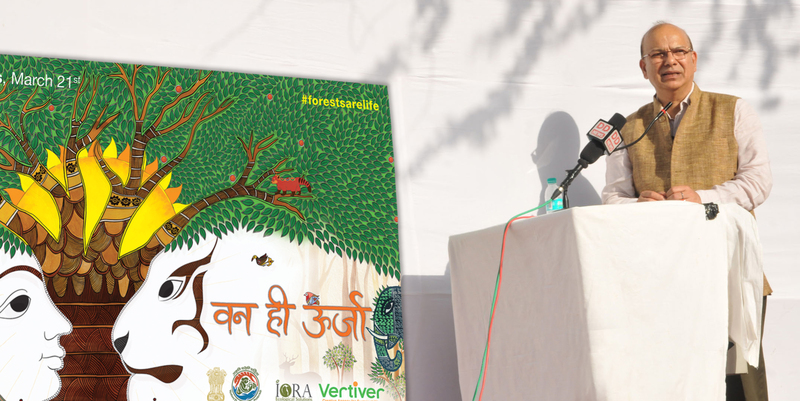 We at Vertiver have now worked on putting ‘BRAND FOREST’ onto the radar of public consciousness in India for over three years. 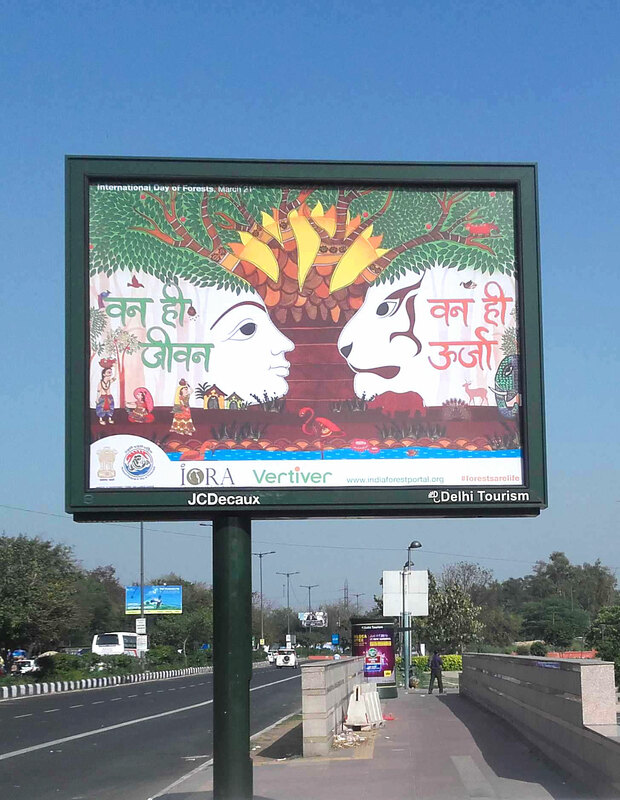 We’ve created advertising campaigns, social media campaigns, films, radio shows, street theatres, brochures, posters, flyers and the whole gamut of outreach and communications that relates to forest conservation. If there’s one thing we’ve come to realize through our work in several states of India, it is that the narrative on forests is complex and every single piece of communications we create, can barely scratch the surface of the complex equation that is India’s forests. 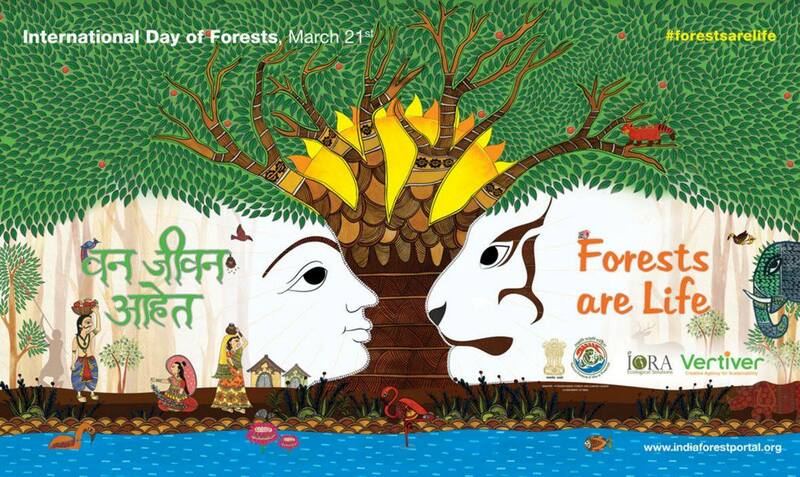 India’s culture, ecology, biodiversity, livelihoods, industry and mythology are all intricately tied to forest ecosystems. Fighting as we always are against shorter and shorter attention spans, the challenge for us as visual communicators is not only in understanding these complex relationships, but also in communicating them in a single image that is visually interesting, symbolic and descriptive at the same time. When we first conceived of and created the first “Forests are Life” campaign, we turned to each letter in the word FORESTS to ascribe a benefit provided by forests. 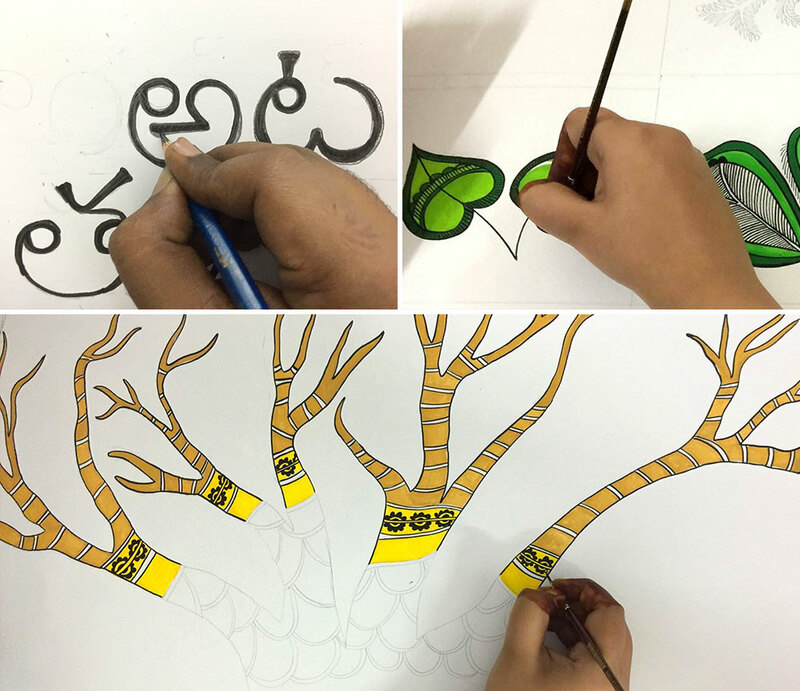 We illustrated several ideas for each letter and finally created this with hybrid digital and hand illustrations to create BRAND FORESTS for India. We were thrilled by how much praise we got for this graphic which emboldened us to keep creating many more campaigns bringing together India’s folk styles, contemporary typography, digital & hand illustrations, painting, copy and graphic design. 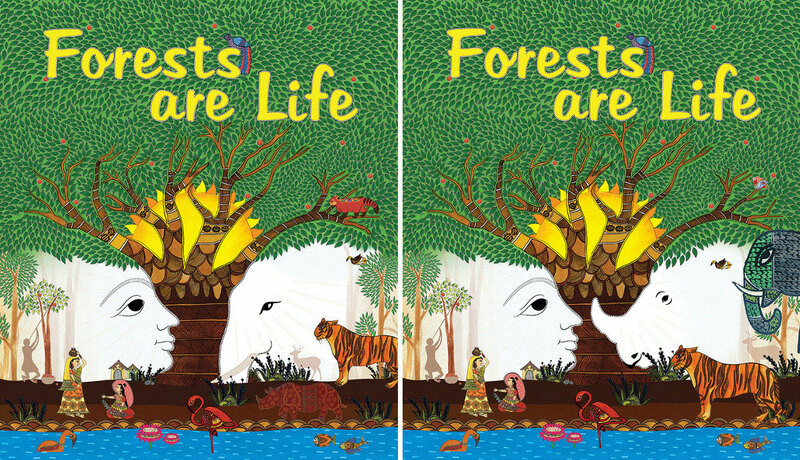 We’re especially proud of this year’s “Forests are Life, Forests are Energy” campaign in which we conceptualized the relationship between wildlife and humans in rather poetic form. Our 2017 represents the faces of three different animals (Rhinos, Elephants and Tigers) interacting gently with the face of a human. We illustrated both as being two parts of a forest ecosystem (so excited btw that we were able to manifest this relationship through clever use of negative space for the visual geek that might be reading this!) that also depicts cultural practices and communities thriving together. The sun in the center of the tree, represents wood energy, to reflect “Forests and Energy” the UN 2017 theme of the year. If someone had sat with us through the months that it took to create each element of this campaign and bring it to life, they would wonder why in the world, we would spend this much effort on creating something so complex for a client that is as under-funded as our poor little forests. Well the answer is that we are totally and madly in love with forests and the beauty they allow us to explore in our own creativity! No surprise then, that we get a little long-faced when we see graphics on forests that are shoddily put together. Even large international organizations when communicating on forests, often use graphics that fail to bring out the essence of forests truly mean for our planet and for each one of us as individuals. If we did not have the kind of deep insight we do in the work of our partner Iora Ecological on what forests truly mean for a family living in a hut deep inside the Western Ghats or for animals that are poached and killed everyday, our attitude in designing our campaigns might be more cavalier than it is. As we lose our valuable forests in India, it feels like a race against time for us designers and creative folk. No amount of creativity we apply to enhancing BRAND FOREST is sufficient, given the enormity of the need for conserving these forests. 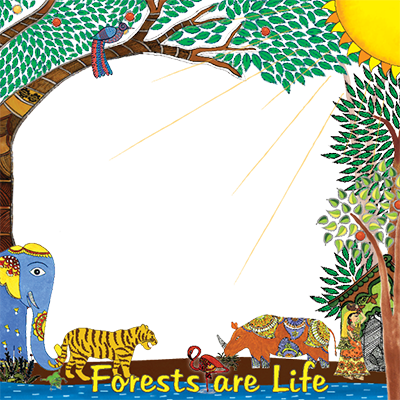 As we try and elevate this dialog through our Forests are Life campaigns each year, we have also connected the campaign to the India Forest Portal where we are building a community of people dedicated to working on various aspects of the forests. As India’s forests decline, the conflicts between humans and wildlife will unfortunately keep increasing. 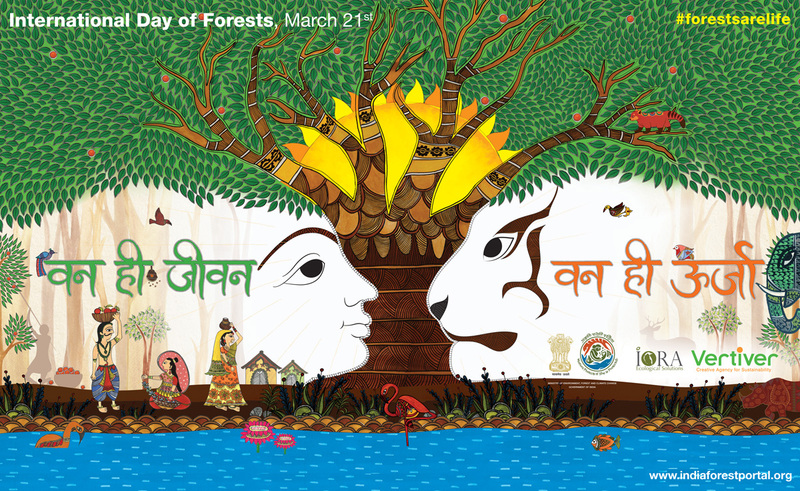 Through the three graphics in this campaign we wish to reconnect people to the harmony that has existed between humans and wildlife for centuries in India’s forests and how India’s culture has evolved in peaceful co-existence with forest resources. 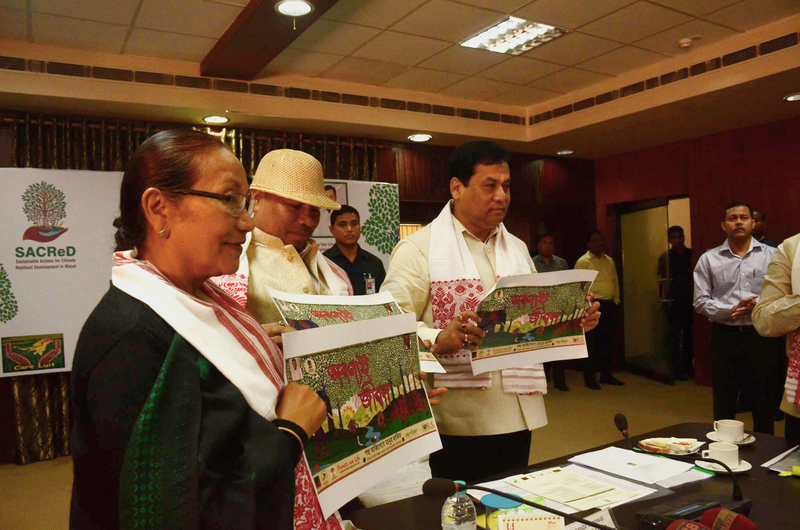 We created a special campaign graphic for Assam featuring the Rhino and Elephant in particular-Very honored that the campaign was launched by the Hon’ble Chief Minister of Assam and the Forest Minister alongside our partner Iora Ecological that is developing several carbon-neutrality initiatives for the state.